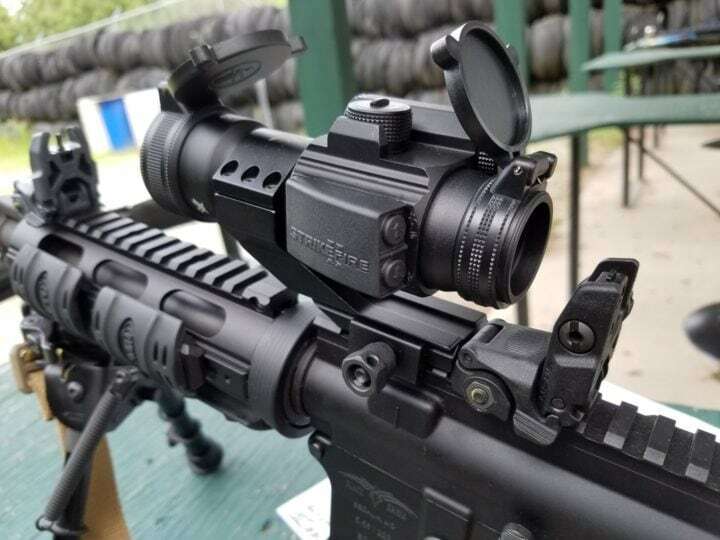 Red dot sights used on the AR-15 are common among shooters that are running these rifles in combat-related target shooting events, hunting activities, or in the real world of police and military involvement. The red dot sight has advantages. It also has some design elements that are less than effective in specific shooting situations. However, not all is lost. Thanks to high-grade sight technology there is always a way around most problems. Here, are our top red dot sights which cant just tackle but win every situation. 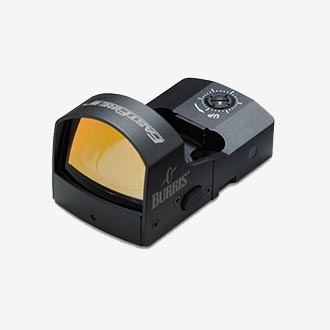 The Burris FastFire III is a reflex red dot sight that is a better grade product in terms of construction. 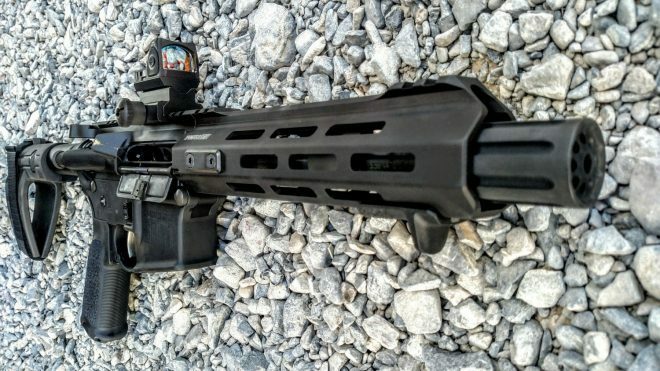 This optic is lightweight and built field tough. 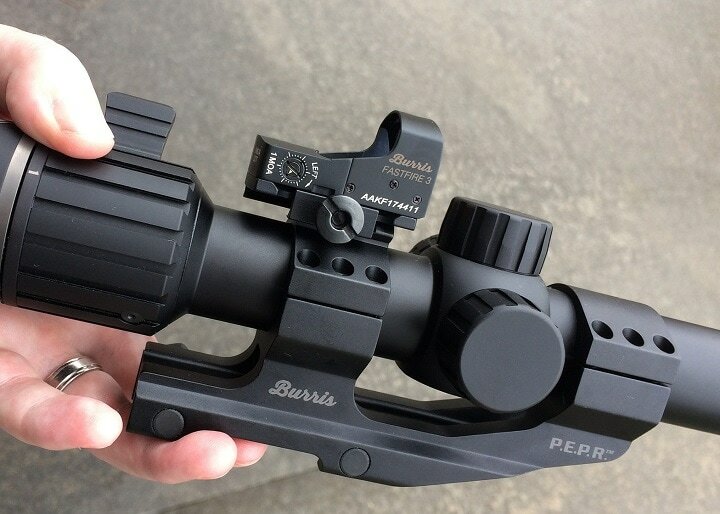 This sight features an additional base and protective systems built by Burris that's on the Picatinny mount and can be purchased without a mount so you can add it to the style mount you prefer. This sight makes use of a 3 MOA dot or an 8 MOA dot, retains a top of the sight battery access, and is an upgrade from the Fast Fire II. The windage and elevation adjustments have been upgraded. The power button retains three brightness settings. An automatic brightness setting makes for fast target acquisition. The magnification level of this sight is 1X with an objective lens diameter of 0.8X0.6 (21X15mm). Field of view and the exit pupil diameter are unlimited. The impact correction in MOA's is set at one unit per click. The maximum windage and elevation adjustment is plus or minus 90 MOA. This gives the sight a very broad sighting option in terms of adjustment down range. Battery access is located at the top of the unit for easy replacement. The unit uses the common 1 x CR 1632 Lithium battery. The price of Burris FastFire III varies, so check the latest price at Amazon. This Bushnell red dot sight is a modest price red dot sight that returns good results for the outdoorsmen. 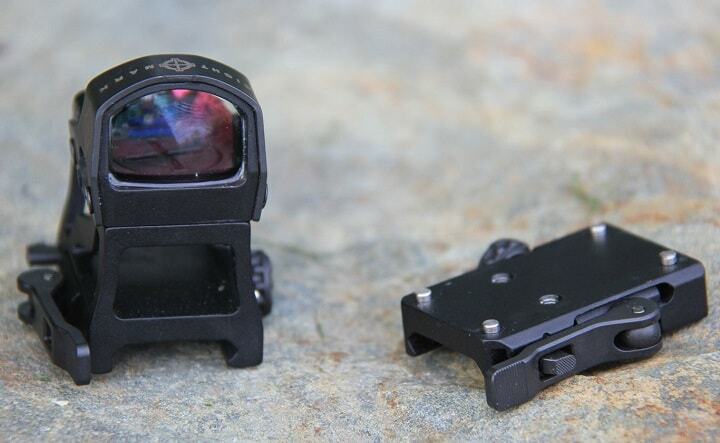 While not mil-spec grade as a sighting unit, the sight is designed for general field use. 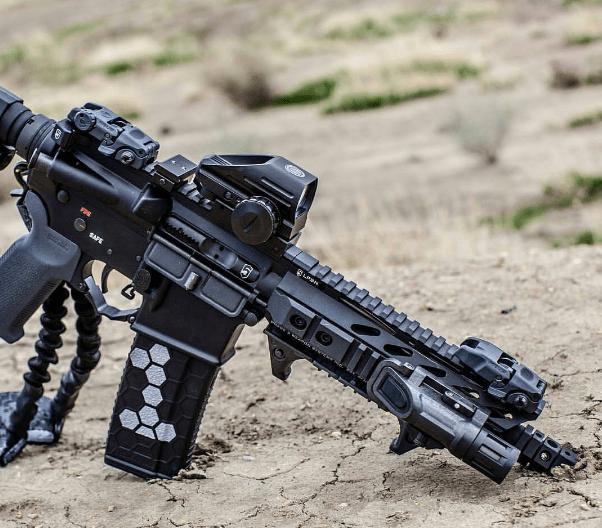 This sight makes use of a 3 MOA red dot and comes equipped with a high-rise mount necessary for use on flat AR-15 rifles. The sight retains up to 11 brightness settings when high illumination is needed. 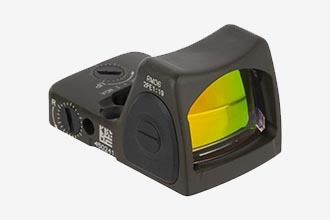 The ability to adjust the sight for red dot correctness regardless of the background lighting present around the target is beneficial to the shooter. This sight retains multi-coated optics that use an amber, high-contrast lens coating. The unit is waterproof and shockproof for field use. The common CR-2032 battery powers the sight. The sight finish is matte black. The objective lens measures 1X25mm. This lens is multicoated and makes use of the Bushnell RainGuard HD coatings that have been proven in the field. The sight has a fixed parallax adjustment level with an unlimited field of view. The sight click value adjusts at ½ MOA at 100 yards. The mounting height of this sight has less than a 1" riser. 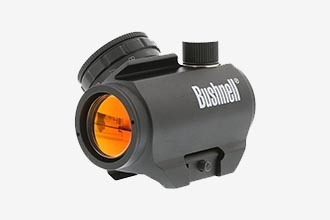 The price of Bushnell TRS-25 varies, so check the latest price at Amazon. The Aim Point Pro optics is set to turn on and leave it alone for up to three years. Much like the well known ACOG military optic, this unit is designed for law enforcement and military applications. I tested this optic several years ago at the American Shot Show writer events day. After that, I took it into the field for a full year when hunting big game from afar and whitetail in corn fields at close range. The system held up well and even withstood sub-zero weather at one point during the test period. It is a top end system with mil-spec quality. The unit retains a 2-minute angle red dot for accurate targeting and requires no switches when activating the unit. This is not a starter tool by any means. It is designed for the pro whether they are a gunfighter or a hunter. This optical system is black in color and features a semi-matte finish. The housing is made of hard anodized aluminum alloy and is very field ready right out of the box. Magnification level is a constant 1 X, with an objective lens of 38 mm. 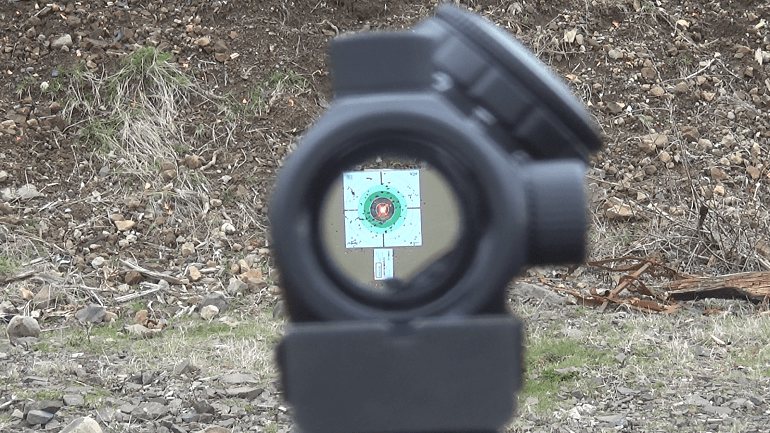 The sight's dot reticle is a 2 MOA and is designed for a bit finer shooting than some both eyes open sighting systems. The illumination color is red. The eye relief level is unlimited with two eyes open. The adjustable click value on this sight is 0.6 inch at 100 yards. This also applies to windage adjustments. The optical coating on this site is a multi-layer anti-reflective material. The sight uses a V3 lithium battery and it is water resistant submersible and will function after being submerged in a depth of up to 150 feet. The operating temperature of this sight ranges from -49 F to – 160 F.
This sight is a very good choice for all M-16, AR-15 rifles and carbines. The sight uses a QRP2 w/39mm spacer. The price of Aim Point Pro varies, so check the latest price at Amazon. 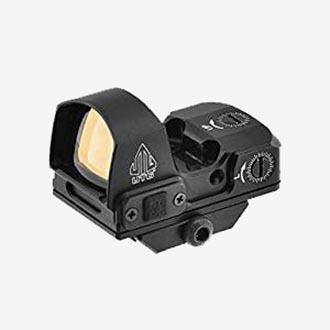 Trijicon has been a leader in military optics during all the middle eastern war. I had the pleasure of spending time with this company's staff during several commercial shoots that covered their products. I am here to say everything produced by them in the world of sights is top of the pile in my book. Enter the Trijicon MRO. Here you have a small package in terms of its overall size that can get the job done with a high degree of accuracy. 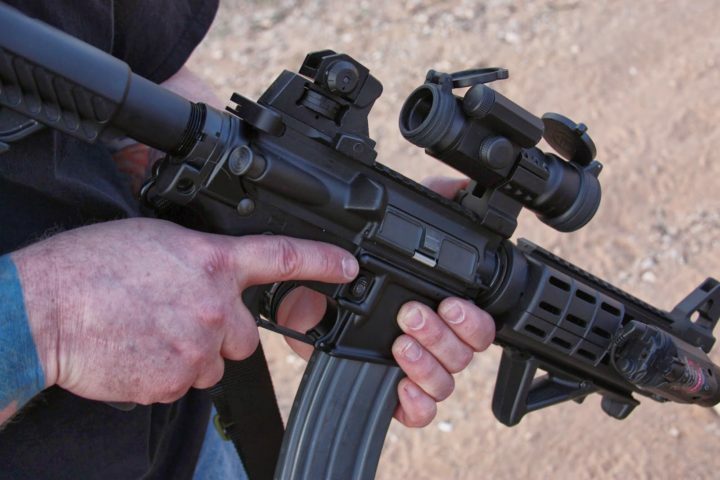 As a miniature reflex sight (both eyes open), it retains a wide field with its ability to allow the shooter fast target contact in short periods of time. This says life to a police officer or soldier. In the hunting world, it can mean a one shot stop on a running boar or a very upset black bear. Regardless of the target, this MRO sight will not disappoint the buyer. Of that, I am very positive. Features on this optical system include the very large viewing area, adjustable brightness levels, and easy to find and set light adjusters, This unit makes use of an all aluminum aircraft grade housing. It is waterproof, resistant to hard field use, and runs off a single lithium battery. 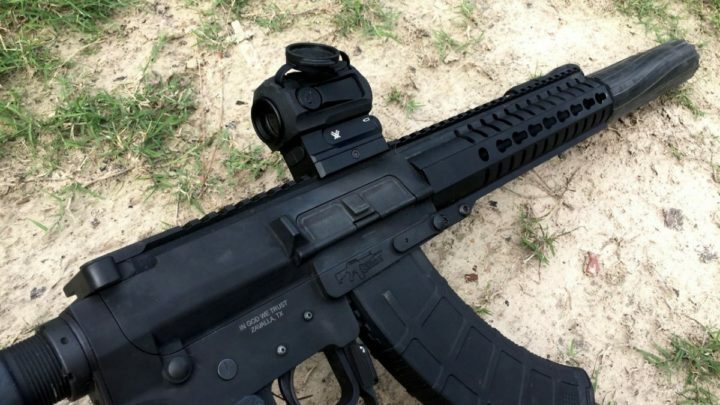 The sight has a long list of accessories that fit it and provide customization. 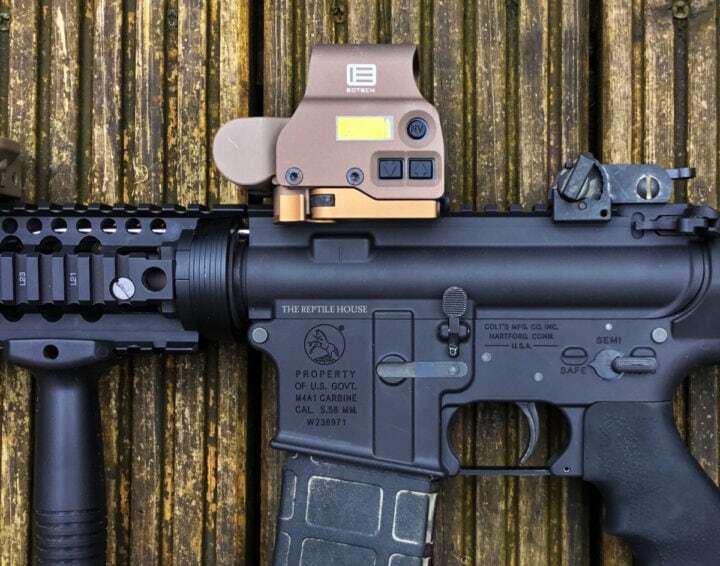 These include flip caps for the lens system, anti-reflection override devices, a special over cover in dark earth, and a low mount adapter for a weaver style rail (AR-15 required). The features mentioned are about half of what Trijicon offers up to enhance the weapon's sight. The price of Trijicon MRO varies, so check the latest price at Amazon. 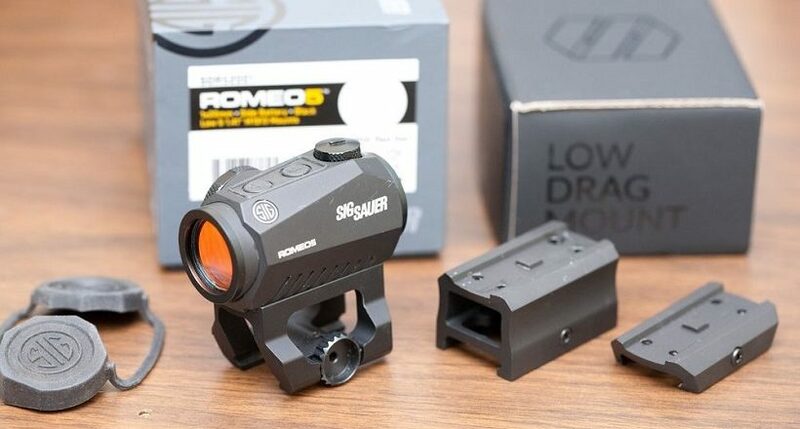 The Trijicon RMR Type 2 optic is a 3.25 MOA red dot system that uses an LED red dot sight system. 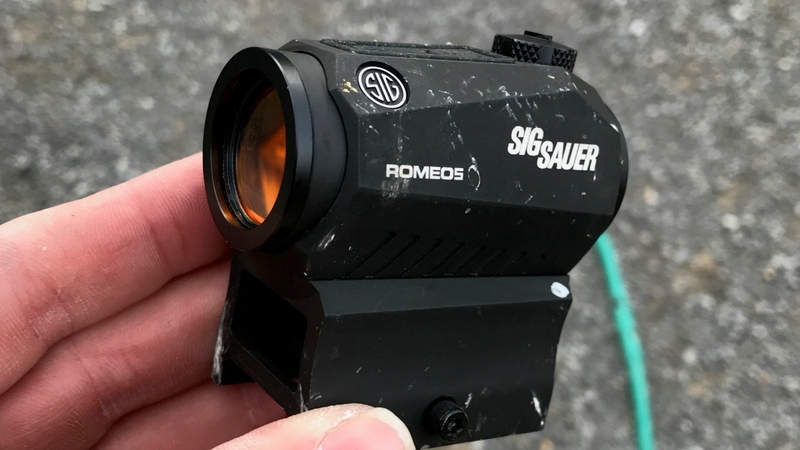 This brightness adjustable sight RMR features an automatic brightness model and easy sight adjustments that change with the push of a button. Brightness settings include 2-night vision and one super bright level. This adjusts for weather and background light over your target image. 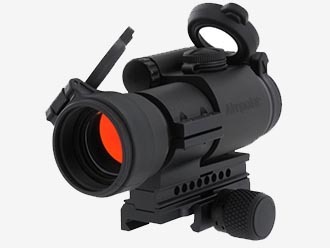 The sight makes use of a very well built electrical design that includes special heavy duty battery contacts designed to take on harsh field conditions. The sight housing is built of aircraft grade aluminum and utilizes a forged method of manufacturing. The sight retains a special feature that allows the battery to adjust power automatically to take on varied ambient light situations. This unit does not retain the bullet drop compensator found on some models made by this company. The price of Trijicon RMR Type 2 varies, so check the latest price at Amazon. Sig Sauer has hit the deck running lately. This company once thought of as a handgun only outfit is now into everything military and sporting. This company has pressed forward in the gun sight market as well as several other areas. They have come up with some interesting and very workable products in the process. 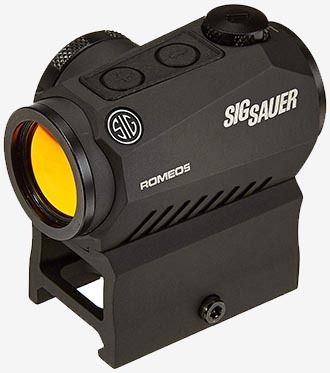 The Sig SOR52001 is a prime example of the company's progress in the sight business. 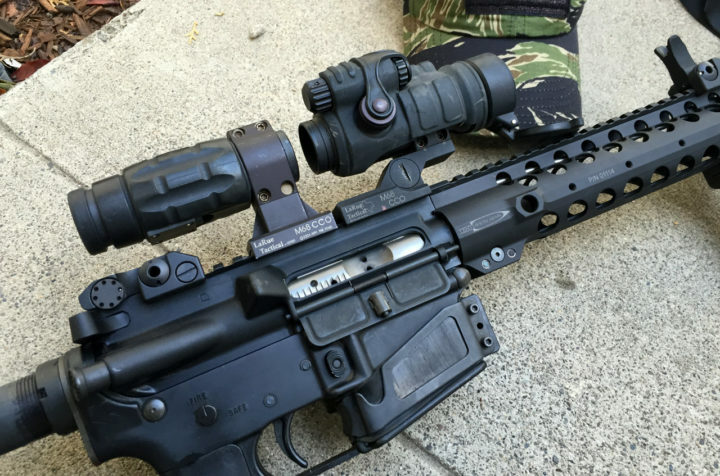 Their 2 MOA red dot sight is a “Romeo5" 1X20mm optic. The optic retains 10 total elimination settings for starters. 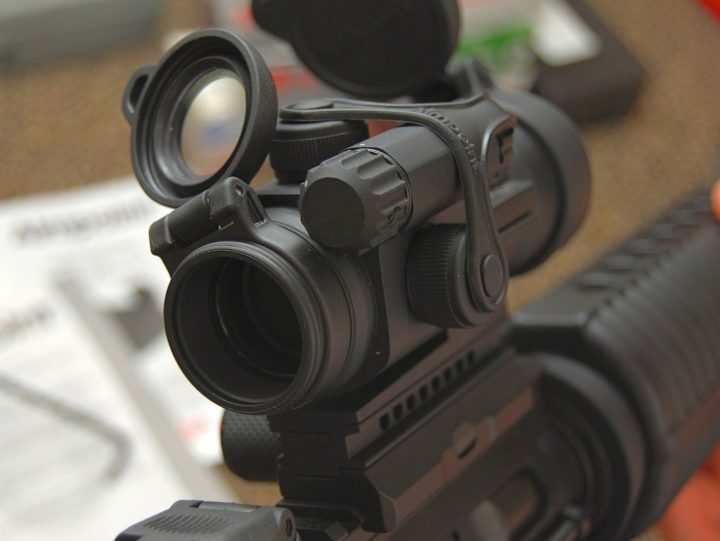 This sight is built in the USA with some imported elements, The sight retains a MOTAC Motion-Activated Illumination system and powers down on its own when not in use. This provides for about 40.000 hours of battery life. The integrated M1913 Picatinny rail interface provides the industry standard for mounting of the sight system. This sight is waterproof for field use and found to be dependable. The sight comes in the box with a secondary Weaver style (1913) full rail and a 1.41” rise mount that is almost a requirement when installing the sight on your AR-15. 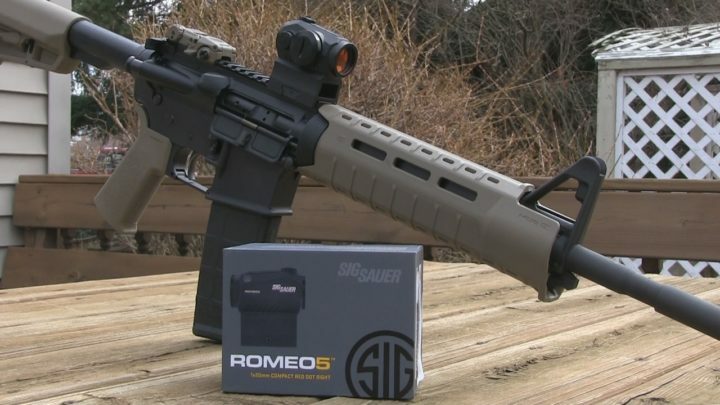 The price of Sig Sauer Romeo 5 varies, so check the latest price at Amazon. 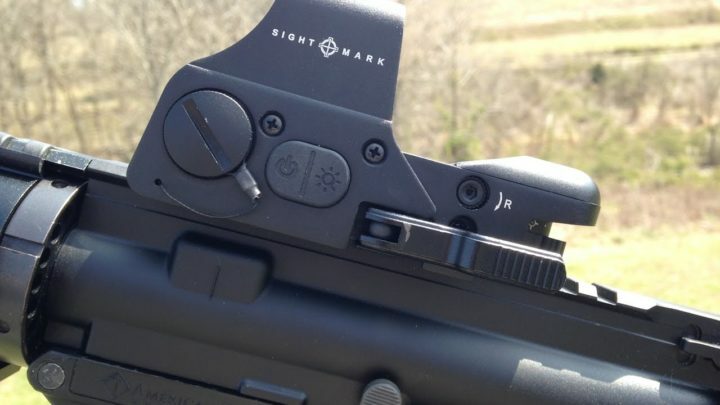 The Sight Mark red dot sight is an example of a nicely made reflex sight that retains all that is necessary for a solid working optical system. The housing is built of a cast magnesium alloy with a protective shield. The sight retains an IP68 waterproof rating and is good when submerged up to 40 ft. The unit uses a low power burn rate and will shut down after one hour of no movement when in auto mode. Controls on the unit are all digital. The system makes use of six stage brightness modes for varied weather and lighting conditions. The sight is parallax corrected, retains a fully adjustable quick detach mount, and has unlimited eye relief. In the box are a sight cover, CR-2 battery, and adjustment tools. This sight was designed around military applications. As a stand-alone unit, this sight should be a workable solution for sporting purposes, police training activities, and shooting target games. The price of Sight Mark Ultra Shot M-Spec varies, so check the latest price at Amazon. 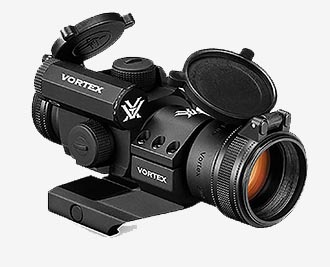 Vortex optics is a young company with very solid ideas in what hunters and others want in firearms sights. 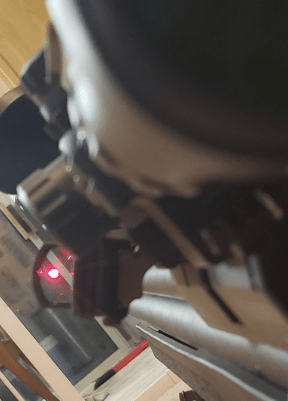 I ran several of these units as standard rifle optics with great success and have no doubt that the Vortex red dot line will stand the test of time as well. 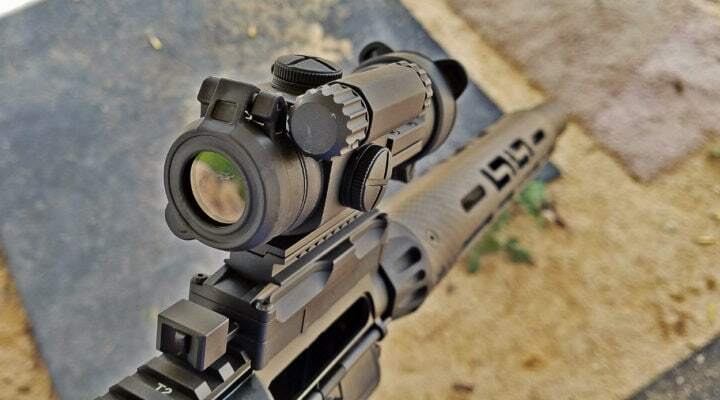 The Vortex SPARC dot sight uses the 2 MOA red dot that is bright even in daylight conditions. When adjusted for intensity, the sight will always return to the previous setting when it is powered up for use. Built as a high-quality product, the sight offers multi-coated lens surfaces, unlimited eye relief, and is parallax free regarding distortion. The sight uses rear-facing controls that allow for fast adjustments even when in conditions that impair the shooter such as sand, snow, or rain. Built waterproof and fog proof from aircraft aluminum, the body of this sight can take a pounding and keep returning positive results down range. The sight functions on a single AAA battery keeping cost down and availability high. This gives the user about 300 hours of battery life. Not bad for a very affordable, simple battery found in any gas station across the country. Leave the sight alone and in 12 hours it will shut down on its own to save power. Finishing off the list of features is the fact that the unit has been nitrogen gas purged and sealed with o-rings. The sight is military tank parts tough in many ways. Just for the record, I have several of the company's products. I am in the field year-round as a professional writer, hunter, and researcher. I have not returned any of their equipment due to issues or failure. 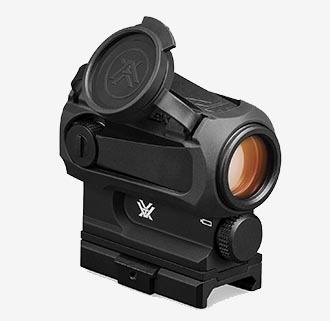 The price of Vortex Optics SPARC varies, so check the latest price at Amazon. As a second option in the Vortex line of red dot sights is the StrikeFire II. 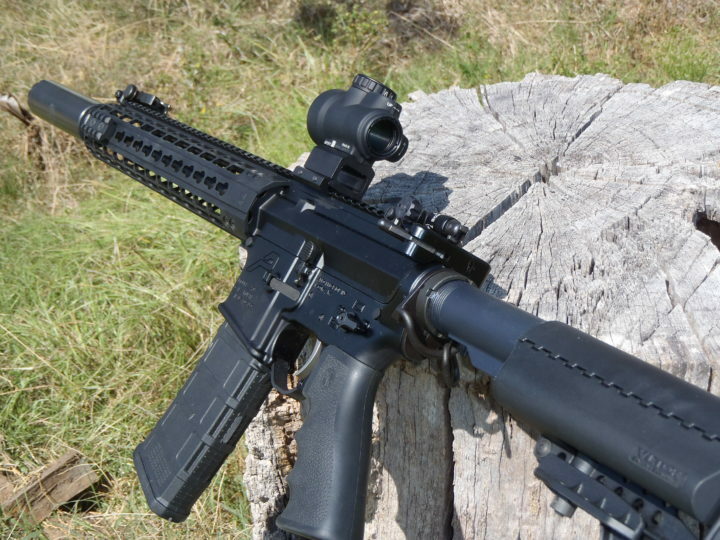 This is a robust looking sight that retains its own rail and rings attached for mounting on your AR-15. Built with fully multi-coated lenses, unlimited eye relief and mounted on a single position chassis, the optic is easy to mount and simple to use. It uses both eyes open and has a field that goes forever down range. The offset cantilever mount allows the sight to be positioned with more flexibility then a standard one point mount found on most AR-15 flattop rails. Power controls are at the rear for easy access even when in stressful situations. 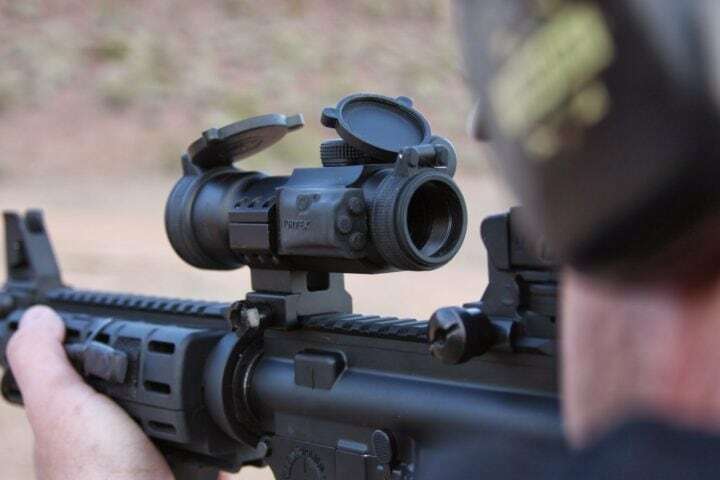 This sight is designed to be used in conjunction with ​AR 15 red dot magnifier or backup iron sight. The unit makes use of a CR-2 battery. The price of Vortex StrikeFire II varies, so check the latest price at Amazon. When you're being overrun by bad guys in the sandbox, finding yourself in an alley with three aggressive, well-armed dirtbags, or trying for the top money in a three gun event, the guys at EOTECH have the answer for gun fighting or prize winning by way of a good sight system. 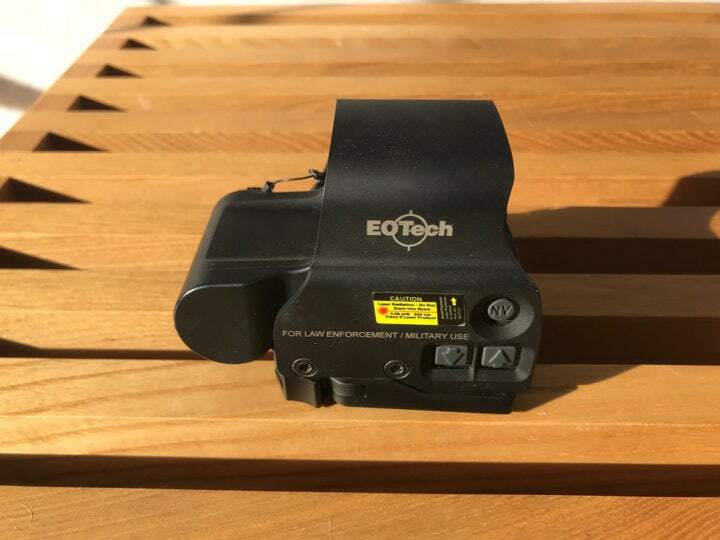 The EOTECH system is not a budget item, but neither is your life and limb, if engaged in a gun battle. 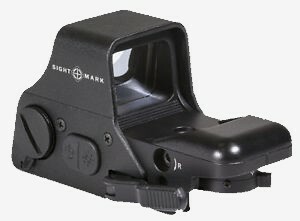 This best holographic sight is a good example of the gun fighting tools offered by this company. 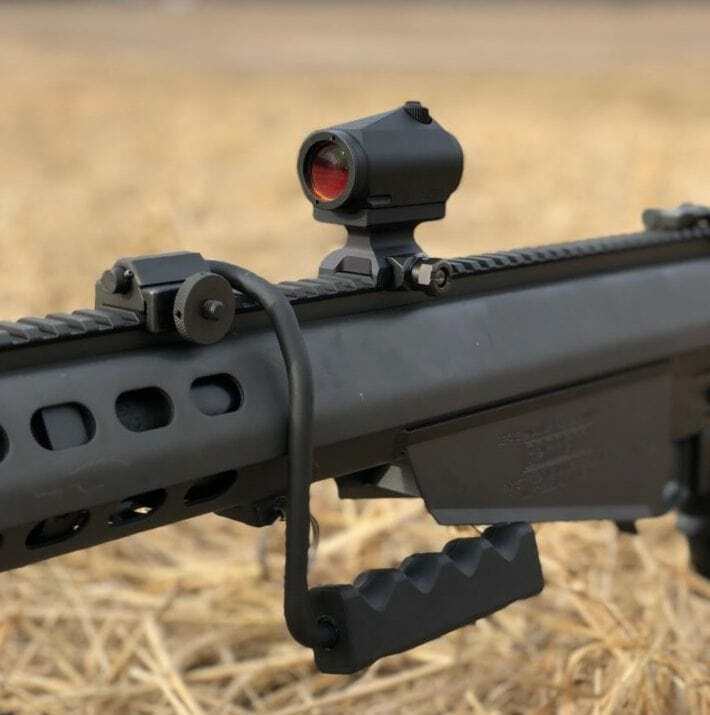 The sight retains a 68 MOA ring that can capture a running target with a good deal of speed by the swinging movement of the shooter or zero in on a smaller target by way of the 1 MOA center dot. Hunters that are searching for the best possible red dot system can stop right here. If you're faced with Russian reds on the steps of Russia, taking on a bear at close range, gators in your face, or heavy timber hunting elk, this sight is the one for you. Anyplace you want sighting speed and wide open area viewing look no further than this sighting system. The sight works in conjunction with Gen 1-3 night vision systems and retains a side button control for ease of operation. Rail space is limited as it is compact on the rail of an M-4 Colt or other combat weapons systems. This is a perfect system for use of the G33 Magnifier mount. The quick detach lever fits the one-inch Weaver-style rail and MIL STF 1913 rails as well. 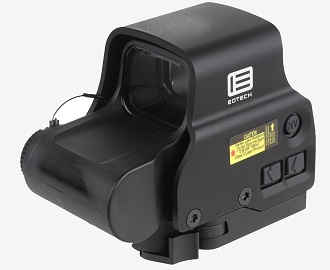 The price of EXPS3 EOTECH varies, so check the latest price at Amazon. 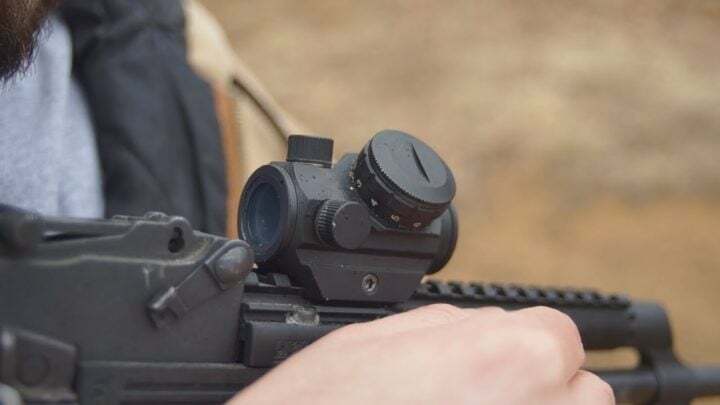 This UTG Reflex Micro Dot is one of the best red dot systems that features a heads up display and allows better vision to the side when required. The unit produces a 4 MOA dot reticle that is best suited for larger targets and center mass shooting. The sight retains up to six varied power settings to accommodate various weather and lighting conditions. Machined from 6061-T6 aluminum, the sight is well made and able to withstand abuse in hard field use. The red dot retains six power levels in terms of intensity. This makes the sight useful and workable in bright and low light conditions. The previous brightness level is retained by the built-in memory in the scope. Based on the quality of the materials used to construct this unit. This is one of the best red dot sights that should last the buyer some time and offer positive results. The sight makes use of a Picatinny (Weaver style) rail and is built on the manufacturers “true strength” platform. When adjusting for elevation or windage, the sight returns one MOA per click during that adjustment. 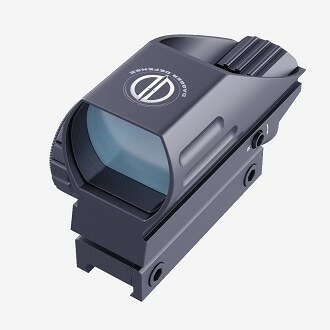 The power setting on this optic has a return memory along with its many intensities. 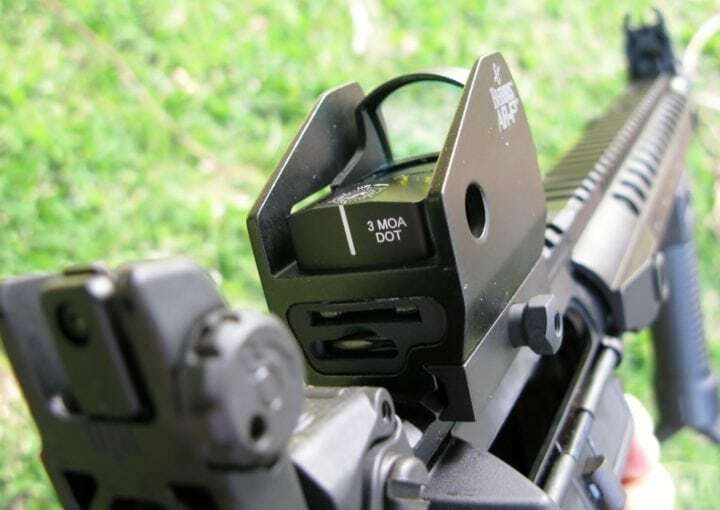 The mounting base system is compatible with Glock and workable on most AR-15 rifles. The price of UTG Reflex Micro Dot varies, so check the latest price at Amazon. 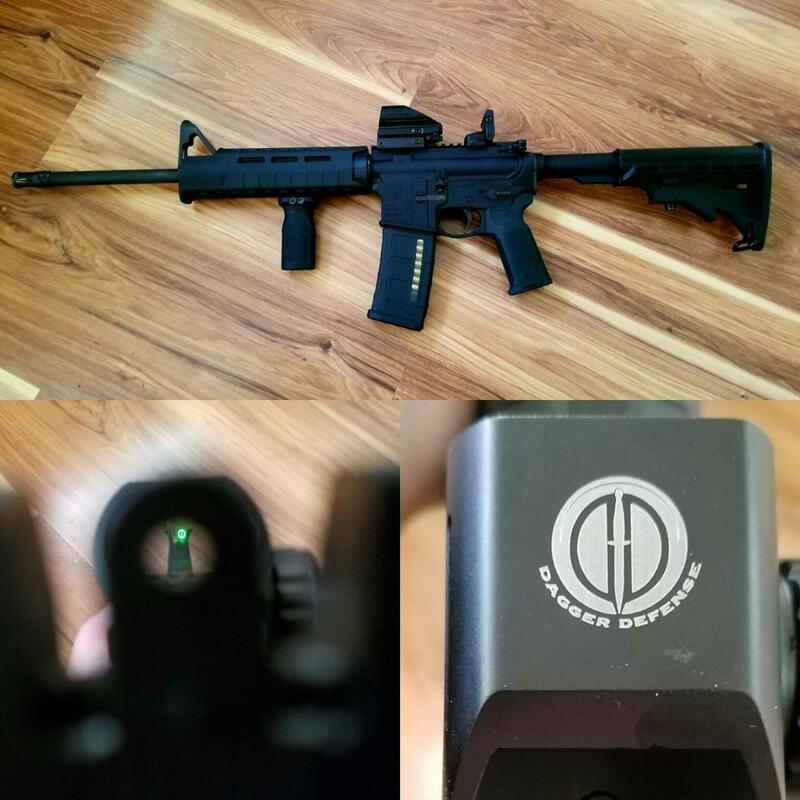 The Dagger Defense red dot system is affordable and offered by a military veteran owned company. This unit makes use of a 2X magnified power setting. It includes both red and green dots at the user's fingertip in for fast field selection. All this sight's awesome features are powered by a CR-2032 battery (included). The sight mounts on a Picatinny rail for ease of installation on your AR-15 flat top rail. It comes with a set of lens covers for added protection. While this is not a mil-spec optic, it is very workable general use sight for target shooting, light-duty hunting, or plinking. I will tell you this for a fact, many years back I picked up a budget red dot, attached it to my crossbow and took more than 16 bucks. This past fall it gave up the ghost of sorts. I retired the that had been built back in the '70s. The price of Dagger Defense Red Dot Sight varies, so check the latest price at Amazon.